Here is something I never imagined myself doing. I am now making my own yogurt! You see, I’ve always liked yogurt but started eating it more in the past couple of years. I regularly eat it for breakfast with granola or as part of my lunch. 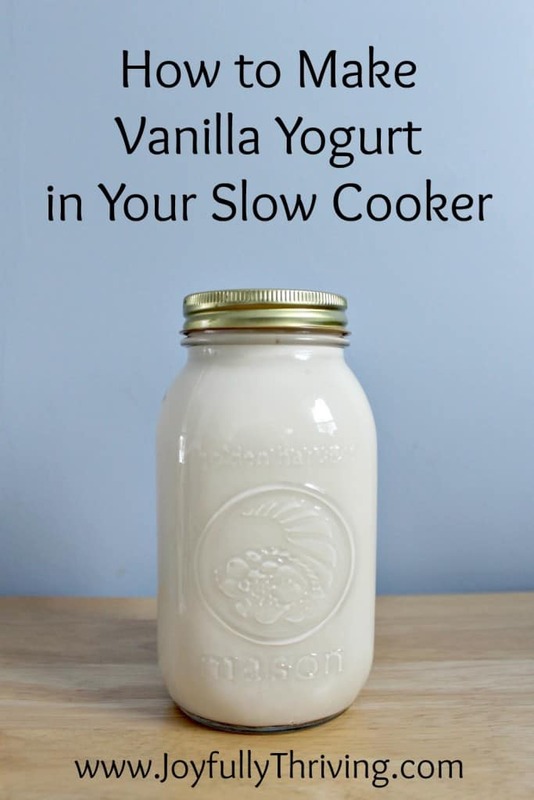 Since I’ve mastered making homemade yogurt, here’s the effortlessly way for how to make vanilla yogurt in your crock pot. When I started to feed Nathan solids, yogurt was one of those foods that he loved. However, I quickly realized how expensive yogurt has become. I also realized that many of the yogurts have lots of artificial ingredients in them. I don’t have a problem with some processed foods but this got me thinking. 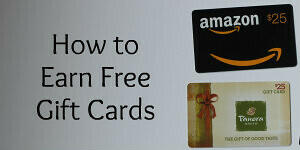 In my quest to being more frugal, I’m always looking for simple ways to save our family money! I’m a firm believer that the little things add up to big savings. I even tracked my savings for a year and found 77 little ways I saved that added up to over $2500! As one of those little things, I had started buying the large tubs of yogurt and dividing it into containers myself. It is much more cost efficient than buying the individual containers but it still wasn’t cheap. The regular price for a quart of yogurt is now $3. I had heard of people making their own yogurt and decided to give it a try. Guess what? I’m hooked. Homemade yogurt is simple, delicious and so much cheaper! When I get my milk on sale, I can now much 4 quarts of homemade yogurt for under the price of $3. (Yes, I can easily get a gallon of milk for under $3 in the wonderful state of Indiana.) Plus, I know that my homemade yogurt is made of milk, sugar, vanilla and the live cultures. That’s it! No artificial ingredients in this homemade yogurt. You may be in disbelief but give it a try. It takes some time but the effort and supplies involved couldn’t be simpler. I read dozen of recipes and combined a couple of them to come up with this recipe. The main reason being that I wanted vanilla yogurt and almost all the recipes I found were for plain yogurt. Also, I didn’t want to mess with a thermometer if I didn’t have to so this is how to make vanilla yogurt from plain yogurt. With this slow cooker method, homemade yogurt in a crockpot is truly a make it and forget it recipe. This is my homemade yogurt recipe. Pour 1/2 gallon of milk into your crock pot and turn it on low. Let it sit for 2 hours and 45 minutes. Set a timer and walk away from the crock pot at this point. When the timer dings, turn the crock pot off and unplug it. Whisk in sugar and vanilla. Let the yogurt sit for 3 hours. Again, set your timer and resume your regular activities. After the 3 hours are up, spoon 1 cup of the milk into a small mixing bowl. Whisk in your yogurt starter. 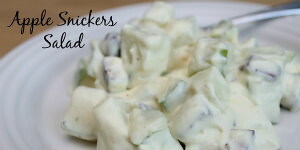 Add this mixture back to the crock pot and whisk it all together. Put the lid back on the crock pot and wrap the entire crock pot in one or two beach towels. I wrap one around the outside and cover the top with another towel. The reason being is that it allows the temperature of your yogurt to slowly cool and culture. Let your wrapped crock pot sit for 8 to 12 hours while the yogurt cultures. The longer the yogurt cultures, the tangier the taste. 8 to 9 hours is what I generally do. When you unwrap your crock pot, you will now have yogurt! See how simple? The yogurt is delicious but my yogurt turned out slightly thinner than store bought yogurt. It tasted fine and can be eaten as is. 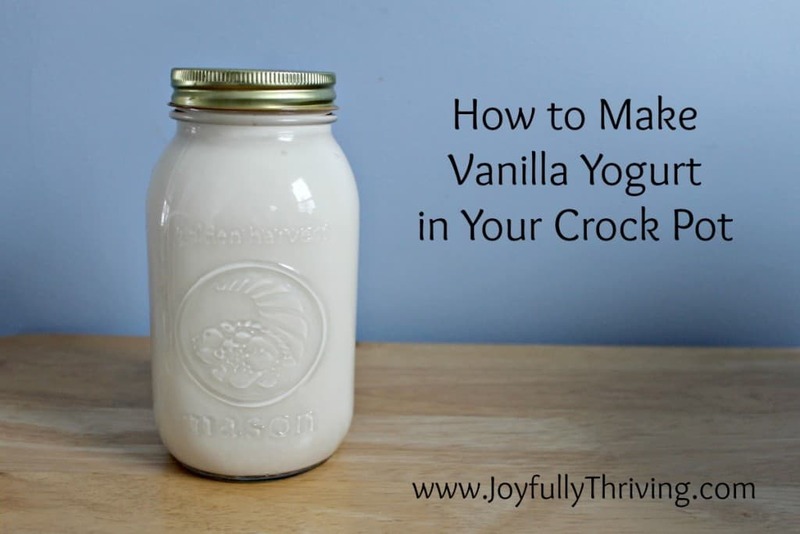 Simply spoon into jars and store your homemade yogurt in the fridge. If you prefer, you can add one more step as I now do to thicken the yogurt. After the 8 hours are up, I line my colander with 2 or 3 squares of cheesecloth . I place the colander on top of a metal bowl and pour all my yogurt into the cheese-lined colander. I carefully place the bowl in the refrigerator for a couple hours. After trial and error, I believe 3 hours is the right length of time for this straining. You can check the thickness of your yogurt by stirring it. 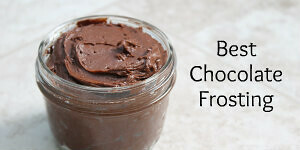 Whenever you think it is ready, scoop the yogurt out of the colander and put it in glass jars or storage containers. The cheesecloth step is not necessary and a matter of preference. It will reduce the amount of yogurt you get from your milk but I think it nice to have a slightly thicker yogurt. When you lift the colander out from the metal bowl, you will notice a clear, yellow liquid. This is whey. You can save your whey in the refrigerator for up to 6 months. Whey can be used in place of buttermilk in recipes or to make ricotta cheese. That is next on my list of projects, once I collect enough whey. I think vanilla yogurt is the perfect flavor for the addition of fruit or granola. If you don’t want vanilla yogurt, simply omit the sugar and vanilla in this recipe to make plain yogurt. 1/2 gallon is 8 cups. If you don’t strain the yogurt, you will end up with 8 cups of yogurt. When I am done straining it, I end up with around 4 cups of yogurt. If you strain out too much whey and the yogurt is too thick for your liking, it is easy to stir some whey back in to make your yogurt thinner. I found my cheesecloth at Meijer. 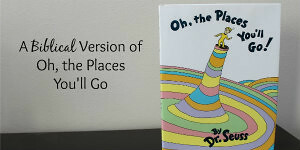 You can also buy it on Amazon here. I have heard that coffee filters work too. Since I plan to continue making my own yogurt, I spent the couple dollars and invested in cheesecloth. This is a similar model to the slow cooker I use, for those who are curious. Due to the amount of time it takes, I have decided it is best to start the yogurt 6 hours before I want to go to bed. I put the yogurt into my slow cooker around 4pm so that it can culture overnight. Then, first thing in the morning, I put the yogurt into cheesecloth to strain and my yogurt is ready for a late breakfast. If you find a good deal on milk, remember that milk freezes really well so you could buy your milk and freeze it until you are ready to make yogurt. There are so many foods you can freeze, like milk! Just pour a little bit of milk out before freezing so the jug can expand. I buy a whole gallon of 2% milk to make yogurt. I use half of the milk to make yogurt and freeze the other half until I’m ready to make another batch. I have read that you can easily double this recipe but I have not tried that yet. Please let me know if and when you do! I hope this answers many of the questions you might have. If you have others, ask them in the comments below and I’ll do my best to answer them. It might seem intimidating but if you eat a lot of yogurt and are looking to save money, give this a try! What do you think? Will you try making your own yogurt? If you’re interested in making homemade vanilla Greek yogurt in your slow cooker, check out this blog post that shows how to adapt this recipe. It’s still simple but just takes a bit longer. Once you try this recipe for making homemade yogurt in your slow cooker, you'll be amazed at simple and delicious it is. Pour 1/2 gallon of milk into crock pot and turn it on low. Let it sit for 2 hours and 45 minutes. Set a timer and walk away from the crock pot at this point. Let your wrapped crock pot sit for 8 to 12 hours while the yogurt cultures. The longer the yogurt cultures, the tangier the taste. After the 8 hours are up, enjoy your yogurt - or strain for a thicker yogurt. If you want it thicker, line a colander with 2 or 3 squares of cheesecloth. 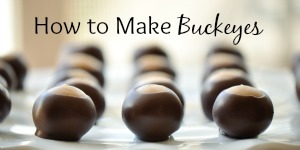 Place the colander on top of a metal bowl and pour the yogurt into the cheese-lined colander. Carefully place the bowl in the refrigerator for a couple hours. After trial and error, I believe 3 hours is the right length of time for this straining. You can check the thickness of your yogurt by stirring it. Whenever you think it is ready, scoop the yogurt out of the colander and put it in glass jars or storage containers. Enjoy your delicious yogurt...saving a half a cup for the starter in your next batch! I can't wait to try this recipe! I made yogurt a couple years ago but it was plain and I like vanilla. I use my leftover whey from cheese to make pizza crusts. Great idea, Julie, on using whey for pizza crusts! I really was amazed at how simple and delicious it was to make my own yogurt. I much prefer vanilla over plain. I hope you enjoy this recipe, too! Vanilla for me too! I haven't bought yogurt in a very long time because it is so pricey and it felt like an "extra". But making it might be what I need to try instead! Do you know how long the yogurt is suppose to last before it goes bad? 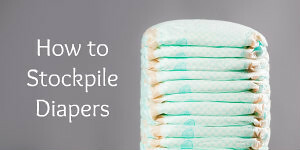 I completely understand, Emily, but with this method, now you can make it! :-) From all I read (and I read a lot before I attempted this! ), the yogurt should last around 2 weeks in your fridge. Nathan and I have managed to eat it all before we've hit that point. I do know that at 1.5 weeks, the last bits of my yogurt is still good. This is awesome. 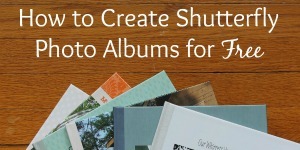 I have had this page bookmarked on my feedly for q few days to try this out! I've made yogurt before but it was on the stove. This seems so easy. It really is amazing easy, Vera. I was shocked - and pleased - with how simple it is. I just made another batch yesterday in fact. It seems to be a staple now that I've discovered this method. I hope you enjoy it! I'm excited to try this tomorrow. I just bought a gallon of discounted whole milk for under $1.50 since it's almost expired. I've tried making plain before but never strained it and it was always just a little to thin. I think with some flavor and straining my family will devour it. Have you tried doubling the recipe yet? I'm not sure if I should double it or just do the half gallon worth to start. Hi, Alisha! Good questions. I would start with half a gallon and freeze the rest of the milk...or just wait another day and make the second batch (since you can use starter from the first batch you make for any and all future batches.) I haven't tried doubling because I've read that it can mess with the cultures. Since you're using whole milk, you might not need to strain it. I've been using whole milk lately and it's a great thickness. Now, 2% or less and I do strain it with cheesecloth. I hope this helps! Let me know how your family likes it! I'm so glad I found this recipe! I've been very disappointed in the selection of good yogurt without all the sugar and additives lately so I can't wait to try making it myself. I may have missed something, but when you wrap the crock pot in towels do you turn it off? And do you leave it out while it cools or refrigerate it? I just wanted to be sure it was safe to leave it out while it cools. Hi, Missy! Yes, the crock pot is already unplugged and cooling when you wrap it in towels. It is actually only plugged in for the first couple hours, and then cools slowly to culture. It is perfectly safe to leave it out while cooling for the 8 to 12 hours required. I hope you enjoy making - and eating - homemade yogurt! This sounds amazing! Would Greek yogurt work for a starter? It is what I have on hand. As long as it has active cultures in it, I believe it would work fine! Thanks! I am going to use lactose-free everything and see how it turns out. That stuff is so expensive! Thanks for the post. This may seem dumb, but does this type of yogurt freeze well. I have frozen store kinds before and they thaw out with a grainy texture. It freezes, but all yogurt will thaw with a slightly grainy texture. I have frozen this yogurt in cubes for smoothies without a problem, but I don't freeze yogurt just thaw and eat plain. I hope that helps, Elise! Cant wait to try this!! I love that a thermometer isn't needed. Hi Kristen! Your yogurt is thin because it doesn't have enough protein. When you add the sugar and vanilla, try adding a half cup of dried milk. It makes a big difference! Interesting. I might have to try that. Although, I like the savings I get by not paying to add extra dried milk. I've also found that if I make yogurt with whole milk, I don't need to strain any whey off my yogurt, so that is what I've been doing lately. Thanks for the tip, Micah! Makes sense. But a half-cup of dried milk is just a few cents, so in my mind it's worth it. The whole milk is a good solution as well (we do both). Both of these approaches give the bacteria more food to eat, which in turn makes a thicker, richer yogurt. Keep up the good work! This sounds awesome. Been trying to find a easy way to make vanilla yogurt. I've never been much of a yogurt eater but since I started my new job as a cashier I always have a carton of yogurt with granola on my first 15 minute break. It helps me last until my lunch break halfway through my shift. And I've been going through a lot of it rather quickly and hate to keep buying it. Now I just have to find a time when I can actually get it made up. Thanks, Ashley! It really is a wonderful (and easy!) way to make delicious yogurt. With every batch, I'm continually amazed at how simple and frugal it is to make my own yogurt. I'm so excited you like my yogurt recipe, Noelle! And that's great to know about the powdered milk! As for the tangy flavor, play around with how long you leave it sit. I've learned that less time sitting (even an hour or so) will yield a less tangy yogurt. Merry Christmas to you as well! Hi, Alisa! I have stirred in fruit, but I always do that after I make the vanilla yogurt. I consider it like the stir-in fruit on the bottom kind of yogurt. It's really good with granola, too! I hope this helps! Oops! The dummy in me didn't read the directions right and let the milk sit for 3 hours with out putting the sugar and vanilla in :-/. I did that and then put my starter in, hope it turns out, or will try again tomorrow! Yay, Alisa! I've learned that the thicker your milk, the thicker your yogurt. For example, whole milk makes a thicker yogurt than 1% and so on. Straining it with cheesecloth also makes it thicker too, and is really easy to do. Some others have told me that adding powdered milk helps the gourt thicken up , too. I'd love to hear what happens when you use Greek yogurt as a starter! It does cool off, Dorothy, which is why you wrap the yogurt in a bath towel or two. You want to it to cool off slowly as it incubates. I read a lot on the subject before ever trying it myself, and have now made countless batches myself. It won't go bad by cooling off slowly! Good luck with the weight loss, too! I will try this but I never put sugar or honey in yoghurt while it is 'cooking', sweeteners can be added afterwards in the form of fruits. Much healthier. That's certainly up to you, Wean! As for us, we're not a fan of plain yogurt in our family - and half a cup of sugar in 8 cups of milk is very minimal, compared to store bought yogurt. I hope you enjoy the crock pot recipe! Looks easy and am going to try it. My husband can not have sugar, can Stevia or other artificial sweetener be used? I would guess so, Susan! I've seen yogurt recipes with honey, and Stevia should be an easy substitution. You may want to tweak the proportions to flavor it to your taste. You can even make the yogurt without any sweeteners - as it would be plain yogurt - and add any sweeteners afterwards. I hope you enjoy the recipe! Wondering if almond milk and lactose free yogurt would work? I love yogurt but have recently had issues with lactose. Has anyone tried it or have any thoughts on it? Hmmm. I honestly don't know what to tell you. My GUESS would be that if the lactose free yogurt has live active cultures in it, it should work. Although, I don't know if it would work with almond milk. Perhaps with lactose free milk? If you give it a try, let me know how it goes. Good luck! After you whisk in the sugar and vanilla, do you turn the crock pot back on? Nope! Just let it cool and culture, Cathy, and wait for your delicious yogurt! 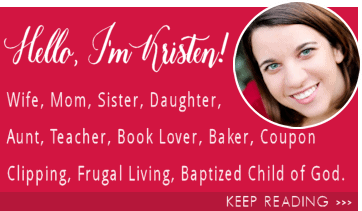 Hi Kristen, SO excited to try making my own yogurt! Here in Australia yogurt is also so over priced and absolutely loaded with sugar and additives. Cannot wait to see how this turns out! Just 2 quick questions, I have a multi cooker which still slow cooks but does a few other things as well as slow cooks on high and low, would you say my cooker would still be sufficient or should I invest in a new one which only slow cooks on high and low? Secondly, when you say to wrap the cooker in 2 towels, do you put the top towel over the lid or underneath the lid? Does condensation affect the consistency at all? Again can't wait to try this recipe, thank you! Hmmm. Good questions, Tarnya! I would say give the recipe a try with your multi cooker on low and see how it turns out. I would think it should be fine! And when I wrap it in towels, I just put one around the base and one over the top of the lid. Condensation doesn't affect it much, although I do try to drain off the water, if I can! Good luck, and enjoy the yogurt! This failed for me. It was just like the consistency of milk? Is it my climate or elevation? Hmmm. Could be. Do you use a whole or 2% milk to start with? And your yogurt starter had active cultures? You can add powdered milk or strain it to get a thicker yogurt, but it should be thicker than just milk. I'm sorry it didn't work, Melissa! Maybe the yogurt was too old (culture), i will try again next week, after i use up this milk in smoothies/milkshakes ? That's an option! You know, now that you mention it. I remember a runny batch of yogurt when my culture was too old. I froze it in ice cube trays and used it for smoothies, too. :-) I hope your next batch turns out better! I tried this and absolutely loved it. So do my kids. I used double cream plain yoghurt to culture full cream milk. I also added the culture to the warm milk half a hour earlier because it seemed to be cooling to rapidly. Yoghurt turned out thick and delicious with I need to strain. Yay! I hope you enjoy your homemade yogurt. I need to make another batch myself this week! I just did this with a full gallon, and the only modification was that I needed to keep it on high for longer in the crock pot to get to the top temperature, snd of course, I added a bit more starter joghurt. Super yum! I made the plain version since I don't have vanilla at home now. Would it be possible to add the vanilla later on, so that I don't have quite that much of the flavored version? I would think you could, Eva. Just stir in a little bit at a time and see how strong it needs to be. You might need to add a little more since it's not soaking in the vanilla flavor as it sits, but I think it will work. I'm glad you are enjoying the recipe! It really is so delicious! I don't know, Lorna. I have never tried. My guess would be yes, as long as you still use a culture that has live and active cultures in it. The consistency will probably change, too, but it might be possible. If you give it a try, let me know how it goes! So, I LOVE this recipe! I'm in the process of making my second batch now. Thanks so much!! How long does the starter you save from the batch stay good? Can I freeze it or should I just keep it in the fridge? Thanks! Good question! It should last for a couple weeks in the fridge. I've never tried freezer my starter, and would be hesitant to do so, in case it kills the live cultures. But you really should be fine for 2 or 3 weeks in your fridge. Hope this helps! Making my first batch now and I'm wondering if I screwed it up by using ultra pasteurized milk? Do you know if that will be a problem? Hmmm. How did it turn out Emily? I've never used ultra pasteurized but I've never had a problem with regular pasteurized. Hope it turned out okay for you! Between your post here, and a few other popular yogurt related ones, I decided to give yogurt making a shot. My wife does the grocery shopping and typically, my two boys, and i fight over each $1 mini yogurt :P. First try, early this week, came out amazing. Did a test batch doing 1/4 Gallon of milk. That didn't last the day lol. So, I ordered some proper materials ( good colander, nut bag & plastic ball caps) and have another 1 gal batch in the making. Any tips for transferring the yogurt from the strainer/nut bag into jars? It's super messy. First time, I used a coffee filter and I lost probably 1/8th of the end result to the filter. Thanks for your great info here! It can be tricky, Bryan! Slow and steady is the way to go. For me, I tend to use a measuring cup and scoop the yogurt into my jar - especially when my strainer is full. Then, it's easier to pour the remaining bit into the jar. I use a good spatula to scrap the yogurt off my cheesecloth. And if you have a canning funnel (like this - http://amzn.to/2mFt27C), that can be helpful. Glad you found my yogurt recipe helpful! Happy yogurt making - and eating! So, I have made this recipe 3 times now and I'm having one major issue: Transferring yogurt from strainer to containers. I'm losing a TON of product and my guess is that it's because we're sweetening BEFORE straining it. I think the added sugar makes it very difficult to remove from the cheese cloth. Can you add sugar after the fact? Will this be a cure for my annoying cheese cloth/paper towel loss:yield ratio? You can certainly try, Bryan! I've never had an issue losing much yogurt. Are you trying to pour it? I always scoop my yogurt with a cup measuring cup from the crockpot into my containers, and then use a spatula to scrape the last bit out. I don't have a problem losing too much this way. But you can certainly try adding sugar afterwards! Let me know what happens, and if that helps! Whole milk should make a thicker yogurt due to the fat content. We have made it from fresh raw goat milk. It comes out thinner because goat milk does not have the same fat content as cow milk. Just as nice, we think better. That is good to know that this recipe still works with goat milk! Thanks for sharing your experience, Linda! Thanks, Michelle! I've never tried it with almond milk, but you're welcome to try! Let me know how it turns out! I'm your direction it day after 2 hours and 45 minutes turn off crock pot and unplug it. Let set for 3 hours then add culture. In that 3 hours won't the crock pot cool off to much since you do not wrap it in towels yet? Do if I'm being dense but this is my first time making yogurt. Nope! You're just fine, Kathy! Just let it sit there and go about your day till the timer dings. Because your slow cooker is insalated, it will cool down slowly, just like you want. Happy yogurt making! My yogurt did not set up:/ any idea where I'm going wrong? I even used the gelatin. Hmm, Tiffany. What kind of milk were you using? When I make it with skim milk, my yogurt is very runny and has to be drained to thicken it up. I still to 2 percent or whole milk for the best yogurt. How long does the yogurt last? I would say it lasts as long as most yogurt does, a week or two. Ours is generally gone within a week, but occasionally, we'll eat it into a second week without any problems. Hope that helps! Thanks for the recipe. I have used a half cup skim milk powder with the milk to make a thicker yogurt. I was wondering how many generations or batches you've been able to carry on from yogurt you've previously made? I had read somewhere that after the second generation or so it doesn't turn out the same so they needed use a new starter every few batches. Have you experienced that at all? By the way I'm trying your method tonight and I am so excited! Thank you for sharing your technique and recipe! Hi, Lisa! I've used the same started for 4 batches before I start to notice a difference. Sometimes longer, but I think it's definitely safe to say you can go longer than two batches. Worse case, the yogurt turns out a bit thin and you strain it and use a new starter next time! :-) I hope you are enjoying your homemade yogurt! In my experience, you can use each batch as a starter for the next batch for at least 10 or 20 generations. We lived in Africa and had a great batch going that we made every few days for months on end since we could only buy yogurt 3 days from where we lived and had to transport it back to our house frozen in a cooler. We were, however, using a completely different recipe - whole milk powder, boiling water, room temp water, & yogurt mixed and set overnight in a vacuum-sealed rice warmer (basically a low, wide thermos). How long does the yogurt stay good for in the fridge? Hi! I just made the yogurt last night. When I checked on it this morning, it was the same consistency of milk. I used 2%. Do you think if I add powdered milk now it would still be ok? I don’t want to waste the milk. Should I reheat it? Thank you. Hmm. You could certainly try reheating it, but if your milk hasn't thickened at all, I would guess something was wrong with your starter? Did the starter you use have live, active cultures? 2% makes good yogurt so that shouldn't be the problem. You can certainly try adding powdered milk too if you want. Sometimes, it is a trial and error experiment to figure out what is going on! Good luck, Erin! Oh, Kasey, yay! You made my day! :-) I'm still playing around with whey recipes, too, but I'm glad you love the recipe. Let me know how it turns out with the almond milk. I am very curious! I made yogurt!!! I used a whole gallon of whole milk. (I got a frre gallon from Kroger and since i just use milk to cook with i decided to make yogurt with it!) I bottled it up and flavored half of the bottles. In 3 small baby food size bottles i put 1t chia seeds and 1/2 t raw honey. In one pint size jar i added a trader joes coffee stick—I’ll do more of these next time—yum In another pint jar i added 1t cocoa mixed with 15 drops of stevia 2 pt jars i added vanilla and stevia to taste. The rest i just left plain. I refrigerated the whey, ill figure out what to do with that later!! I do have a question!! How long will this homemade yogurt last in my fridge?? Oh, I love this idea of flavoring them in small jars! We go through yogurt quickly, but from my experience, it lasts a week and perhaps up to 2 - but ours is always gone long before then! :-) I'm so happy you found success with this recipe. Enjoy the yogurt making! Hi, Karen. 2 answers for you! :-) The cheesecloth is completely reusable. Just rinse well with water and let it dry before reusing. I don't use soap on it very often at all, just a good thorough rinse under hot water. And yes, the yogurt can be made with skim milk but you will see much better results if you use 1 percent or higher. I am a skim milk person all the way but use 1 or 2 percent to make my yogurt. It will thicken much better with a higher fat content in your milk. If you use skim milk, you will definitely want to add dried milk powder to thicken it up. Hope that helps, and happy yogurt making! Hmm. Interesting. I don't know, but if it is thin, you can always strain the whey (excess liquid) off with a colander and cheesecloth or coffee filters to thicken it up. I do that when some of my batches turn out thinner! Can you explain the need to leave the milk for 2 1/2 hours? From what I know, the heating and cooling of the milk are both necessary steps for the fermentation process to work, which is what turns the milk to yogurt. I'm no expert on the process, but just know that this recipe works with the heating and cooling as it is. Last night was the first time I've made yogurt and it turned out delicious! My daughter has had tummy issues since she was 2 wks old and the only thing that seems to help is Greek yogurt every day. That gets a little expensive on a single income so my chiropractor suggested I try making my own. I spent just under $2 for a gallon of whole milk and probably $.25 for the sugar and vanilla. This recipe was perfect for a beginner but I'm sure it'll be the recipe I keep coming back to also! Thank you so much for sharing it! Can I just saw how much I love this recipe! I’ve made it multiple times now and love that it always turns out. I really am tempted though to try almond milk with some agar agar added in to achieve a dairy free milk. Thank you, Emily! If you do try it with almond milk, please let me know how it turns out! I'd love to know! If you like a thicker yogurt, you can add 1 to 1 1/2 cups powdered milk at the beginning. It’s thick like Greek yogurt and you don’t have to strain anything at the end. I can’t wait to add the sugar and vanilla to it next time! I love this yogurt. It is so easy to make. It turned out perfect the on the first try. Not thick enough but very good so I strained it and it turned in to a wonderful greek yogurt. Now, with my 2nd batch I decided to check the temperature of the milk at 90 mins, well it was around 140 so I decided it would not reach 180 in 2hr and 45 mins so I flipped it to high for the last 90 mins. (MISTAKE #1) Added the sugar and vanilla and let it cool 3 hours. I checked the temp at the end of the time and it was about 135 put the started in anyway, (MISTAKE # 2) Wrapped it up and went to bed. In the morning I had yogurt, but very grainy yogurt lol. That's what happens when you mess with a tried and true recipe. I make a double batch most of the time - no problems. I only use whole milk. The consistency is a bit thinner than what you buy from the store, so I use mine in smoothies, with frozen fruit and juice, or add frozen berries and homemade granola. I have had homemade yogurt for up to 2 1/2 weeks. It does separate a bit, but you just need to re-mix it. I tried this recipe yesterday and my yogurt turned out very curdily and not smooth. Any ideas of what I did wrong or how I can save this? Hmm, Kasey. That's a new one to me. If your starter wasn't reliable, that can make your yogurt lumpy. You could try straining the lumps out or just beating them with a fork to smooth out the lumps. I've never had that happen myself but that is what a Google search suggests! Do you think you could substitute maple syrup for sugar? Also is this more of a method? Could you half or double the recipe..? Thank you! You are certainly welcome to try! I don't see why you couldn't make that substitution. I haven't tried that myself, but I do know you can double the recipe without a problem. That I have tried! Happy yogurt making! I’ve been making this for a few years now, forgot about it till recently and have started all again. Every 2 weeks I make a batch! My kids love it. Started sharing with my neighbor and she is hooked!!! I bought silicone ice cream pops, mix the yogurt with blended berries and freeze...boom homemade gogurts with no additives!! I also use organic whole milk, makes it thick and creamy no need to strain. Thanks so much for sharing this! Aw, thanks Tara! Would you believe that I wasn't making it for awhile until recently, too? We just made a batch of homemade yogurt pops and the kids are super excited. It really is such an easy recipe and like you, I'm excited to be making yogurt again! They sell yogurt stainers on Amazon, which I found to be a lot easier than the cheese cloth. Really? I'll have to check that out. Thanks for the tip, Mary Beth!